Allsound Radio live broadcasting from Netherlands. 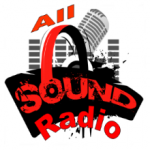 Allsound Radio is a one of the most famous online radio station on Netherlands. Allsound Radio broadcast various kind of 80s, 90s, pop music. They broadcast online 24 hours a day, seven days a week.